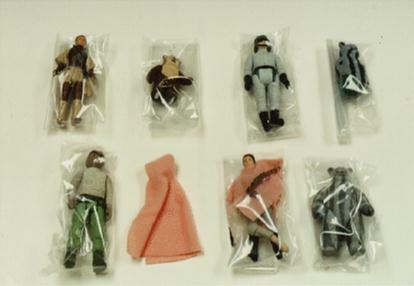 Some Return of the Jedi figures are present in this assortment of hardcopies but, interesting to note, is the fact that the poncho for the Leia figure and the cloak for the Pruneface figure are both made of a pink material. However, it's the same type of material that the production versions were made from. This is one large and impressive gathering of figure protoypes and isn't the kind of stuff you get to see everyday.